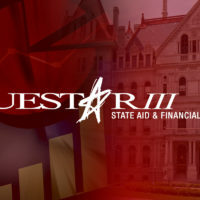 Questar III’s educational services offer a variety of opportunities for students and staff to grow and develop their skills. We coordinate distance and online learning programs for school districts to offer additional courses to their students, resources for school districts and district residents who choose to instruct their children at home, and the Regional Special Education Technical Assistance Support Center (RSE-TASC Part II). We also provide professional development opportunities for teachers and administrators through our Office of School Improvement, and handle substitute calling and textbook coordination for districts in Rensselaer, Columbia, and Greene Counties.